For the many that feel this amount to be a bit much, bear in mind that this could be the best-built, most attractive Chromebook outside of the #madebyGoogle lineup, which command a much higher pricetag. 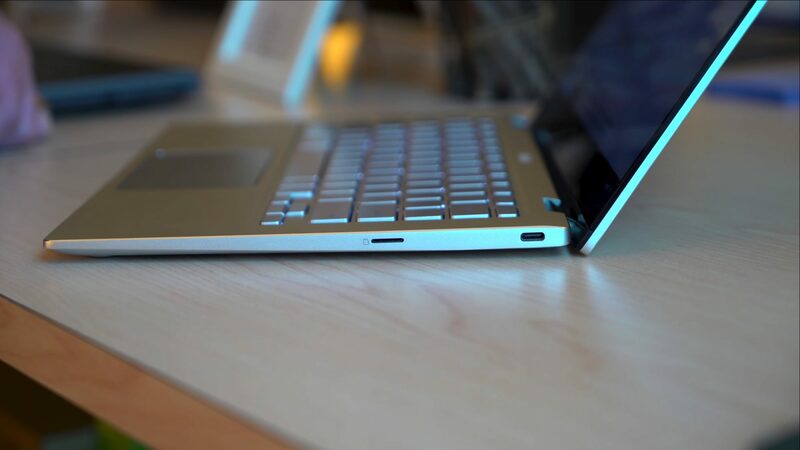 The incredibly slim bezels, interesting hinge design, ultra light weight, all-aluminum build and backlit keys don’t come cheap. And the 8th-gen Core m3 will be very fast pushing only a FHD screen. Sure, 4GB of RAM and 64GB of internal storage are a little stingy, but there will be 8GB models with Core m3, i5, and i7 variations with up to 128GB of storage: we’re just not sure what that will cost yet. We spent some time with it at CES a few months ago and I can say without doubt that this is the device I’ve been waiting for in 2019 and I think it could be the most popular Chromebook of the year. Check out our hands on below. When we reported on this device becoming available for sale, we said so knowing that it may still be weeks before it actually ships to consumers. Being who we are, we couldn’t sit back and wait for a review unit this time around. The Flip C434 is just too important. So we bought one. Overnight shipping wasn’t much, so we slapped that on as well and – much to our suprise and delight – a shipping notification showed up in my inbox just a few minutes ago. That’s right! IT SHIPPED ALREADY!! We were fully expecting a few weeks before this device actually started heading out to customers, but it seems ASUS is ready to get this device out to a very interested fan base. So, if you are interested in getting the base model of the ASUS Chromebook Flip C434, you may want to do so quickly. We have no idea what the supply looks like on the initial run. If you are at all on the fence, you may want to sit this one out as we’ll likely see stock at major retailers in the next couple weeks with more models and variations to choose from. We’ll obviously be giving this the full unboxing treatment when it arrives tomorrow, so stay tuned!